The ongoing festive season which has till now observed many successful launches of sedans, hatchbacks and small cars from the auto industry majors, but one thing that went completely missing was the launch of luxury Sports Utility Vehicle. 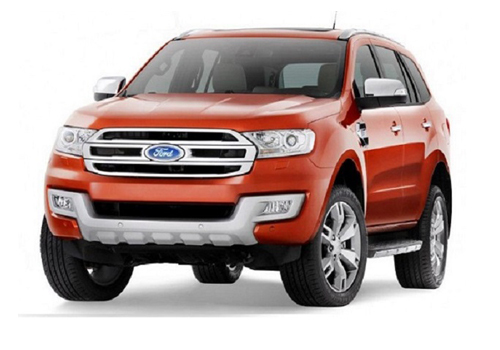 To plug in this gap the US based auto giant in India; Ford Motors took this opportunity and has come up with the limited edition of their irresistible utility vehicle named Ford Endeavour Hurricane 4X4. The SUV is priced at Rs 20,13,244 (Ex-Showroom Delhi), the current cost of the vehicle is around Rs 40 thousand more as compared to the existing top variant 4X4 model. The extra buck added to the price provides you with four new features starting with the new powerfully built front nudge slab, with the looks already an attention-grabber this adds a brawny stroke to the SUV. A convex mirror is placed on the fifth/hatch door at the rear hatch door; this feature is for the ones who are new to Endeavour and find it difficult to park this monster in the parking lot, that’s the second highlight. Coming to the third is the ‘Hurricane’ graphics showcased on the two-sides of the exterior of the off roader. The last one is the exhaust channel which is now chrome tipped which along with convex mirror bestows a stand-out look in the rear. 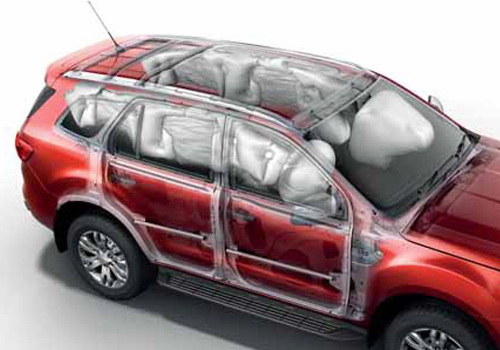 The limited edition is chiefly exterior focused while luxury and comfort in the interior along with abundant space remains the same with seven seat arrangement and dashboard equipped with latest multi-media infotainment and includes all the other elements for which Ford Endeavour is renowned. The 3.0L, Common Rail Turbo-Charged mammoth diesel engine of the SUV that is capable enough to yield a maximum power of 156 bhp and 380 Nm of maximum torque, same as earlier along with 5-speed auto-transmission. This limited edition of Ford Endeavour Hurricane is targeted to the people passionate for adventure and we looking for SUV offering this festive season. The gigantic creature will be locking horns with Toyota Fortuner and Chevrolet Captiva in its segment. But you need hurry (Hurri-cane) as the name states it’s a restricted edition. Prior to this Ford has also launched its all-new Fiesta in the beginning of the festive season which has received quite amazing results despite of the higher price tag. This luxury Sports Utility Vehicle is awesome. Can anyone provide me with some extra features of Ford Endeavour Hurricane 4X4? Ford Endeavour 3.0 L 4×4 AT (diesel) Variant is having cool features like limited slip differential, touch screen LCD audio unit, blue tooth connectivity, satellite navigation, front driver and passenger side airbags, reverse parking camera with LCD display etc. Ford Endeavour is a real Hunk. is so stylish car. & Good features, Good mileage, Good pick up.